Green apple is an excellent beauty enhancer. 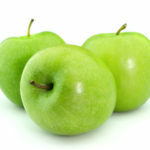 Lots of skin care and hair care benefits are associated with green apples. It contains a lot of fibre, which helps clean the system and increases metabolism. It contains Vitmin C which helps in preventing damage against skin cells by free radicals and thus reduces the chances of skin cancer. It contains anti-oxidants which help in cell re-building and cell rejuvenation. This also helps you in maintaining healthy and glowing skin. The antioxidants also protect your liver and ensure its proper functioning. We are looking for green apple extract powder. target quantities are 4 metric tons. We are truly sorry that we are not the raw materials provider.